Our Mission: Collaboration, Respect, Creativity. This will be realized by combining comprehensive theatrical training with a strong liberal arts curriculum. Using this knowledge and experience, students will exit the program being able to integrate their knowledge and ongoing research with their insights into the human condition. This mission is available to and provided for any and all DSU students, regardless of major. No theatrical performance can be complete without an audience. Through its production season, this program will give the Theater student a range of design and performance opportunities. It will provide the general student body with historically and culturally diverse experiences which will broaden their educational experience and it will provide a rich array of theatrical performances for the growth, entertainment and intellectual stimulation of the community at large. Provide service to our institution, community and profession. Develop a regionally prominent liberal arts theatre training program. Assist the alumni, and facilitate communication between generations of DSU Theatre graduates. Exhibit ability to conduct research. Exhibit ability to create and manage theatre. To develop a significant level of skill in their emphasis area. Provide students with a range of production opportunities of varying genres, styles and historical periods. Provide the DSU campus community with productions that enhance the student’s educational, intellectual, cultural and emotional understanding and development. Provide our service area with a variety of productions that enhance and expand their cultural lives. Foster to production of new works. To encourage Faculty and Staff members to maintain well-rounded and balanced lives. Provide general education theatre course work to fill requirements in fine arts and humanities categories. Provide lower division theatre education to meet the transfer needs of prospective theatre majors. Provide theatre education to meet the needs of the community. Provide a production program to serve as a laboratory in support of theatre curriculum. 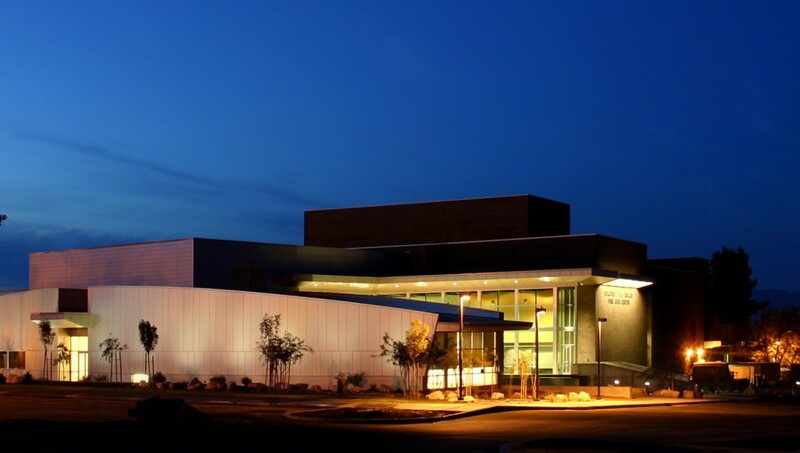 The production program is designed to create a rich cultural experience for Dixie State University students and to provide the community at large with quality theatre experiences. Prospective theatre majors choose between a performance emphasis or a technical theatre emphasis. The production program prepares a full season of plays and musicals for performance each year. Serious theatre students are expected to be involved in production activities on a continuous basis. The production program emphasizes development and application of skills, effective collaboration and professional discipline. Serious theatre students should counsel with a theatre faculty member to plan course registration for each semester.